Each business’s SEO needs are going to be a little different. Because of this, there really is no “one size fits all” SEO firm you should be using. Different firms are going to excel at different things. The best thing for you to do when picking a firm to work with is aligning your needs with their specialty. To best find what your specific SEO needs are, Casie Gillette, a contributor to Search Engine Land, recommends becoming familiar with your own business goals, previous performance, and constraints on your resources. When you know these three things, you can more easily find a firm that can fill in where you have gaps. Choosing an SEO agency to work with can be nerve-wracking. Many people looking for help with SEO have heard horror stories about companies taking their money but never completing any work. To keep this from happening to you, the best thing you can do when deciding which agency to work with is to vet their provided references before you agree to do business with them. John Charles Trace, a contributor to ezinearticles.com, advises businesses to immediately sever a relationship with an agency whose references don’t actually exist or who can’t give you specific answers to your questions. When partnering with an SEO firm, starting out on the right foot with expectations can make all the difference in your professional relationship. To get this right the first time, John Steimle, a contributor to Forbes.com, suggests for businesses to pick specific performance indicators they want their SEO firm to improve for them. If the agency doesn’t appear to want to work on those metrics for you, they might not be the right fit for your business. While they are the professionals in the SEO field, you know your business better than anyone, and your opinion should be taken into full consideration by any SEO firm you’re planning to work with. 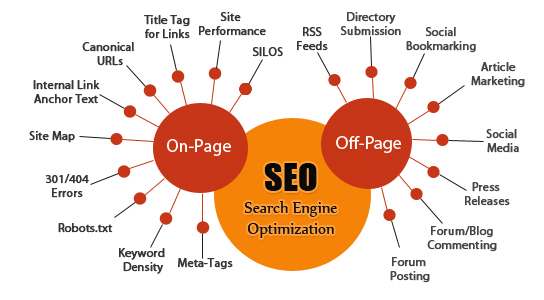 Outsourcing your SEO efforts to a reputable and effective firm or agency could be a huge boost to your online business. Use the tips mentioned above to find an agency that fits perfectly with your business today.